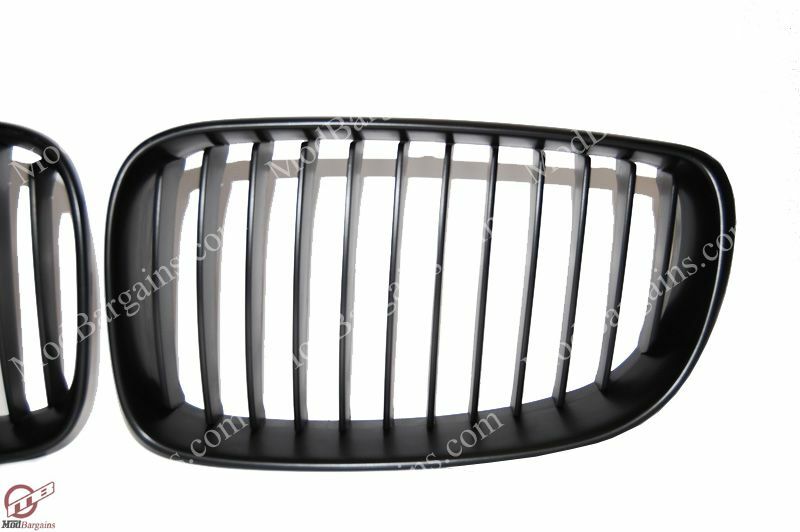 Set your car apart from the rest with these grills. A small upgrade with a HUGE difference! 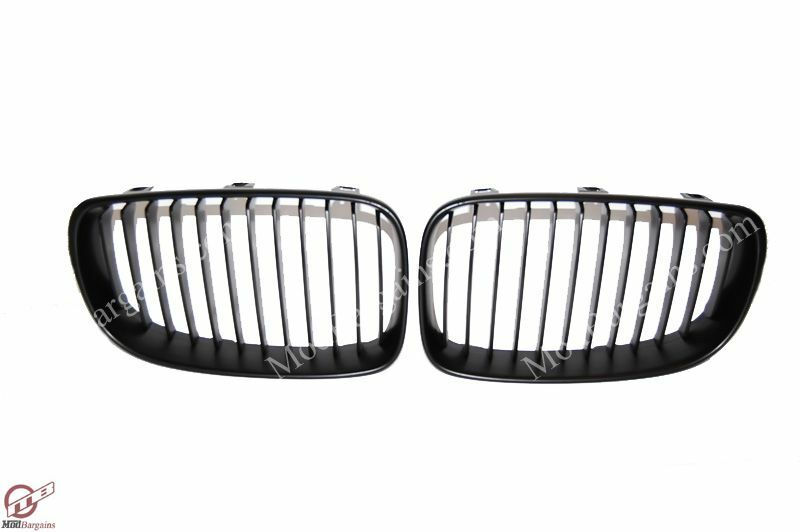 Give your 1 series that subtle aggressive new look that you've always wanted with ModBargains' long awaited Matte Black Grilles for the E82/87/88. 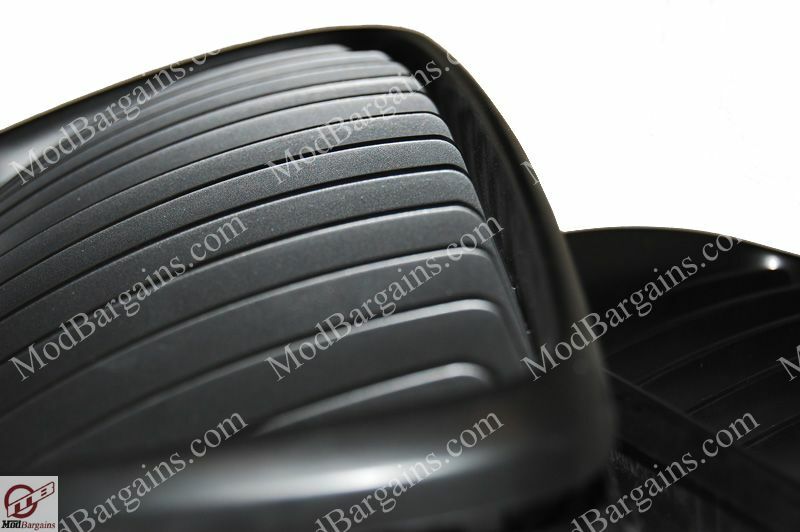 Made from ABS plastic, this allows for superb fitment, and a smoother flawless finish. 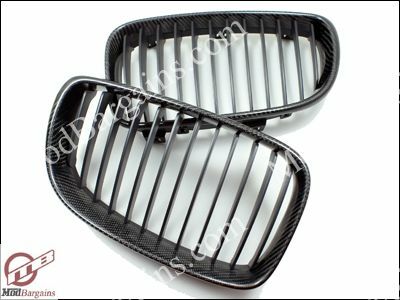 Why should you buy full replacement matte black grilles instead of the DIY rattle can method? 1) Paint does not stick to chrome finishes well, in turn leading to 2), due to the paint not being able to stick chrome finishes well, the paint can easily be chipped off by rocks and other debris on the road, otherwise known as rock chips. 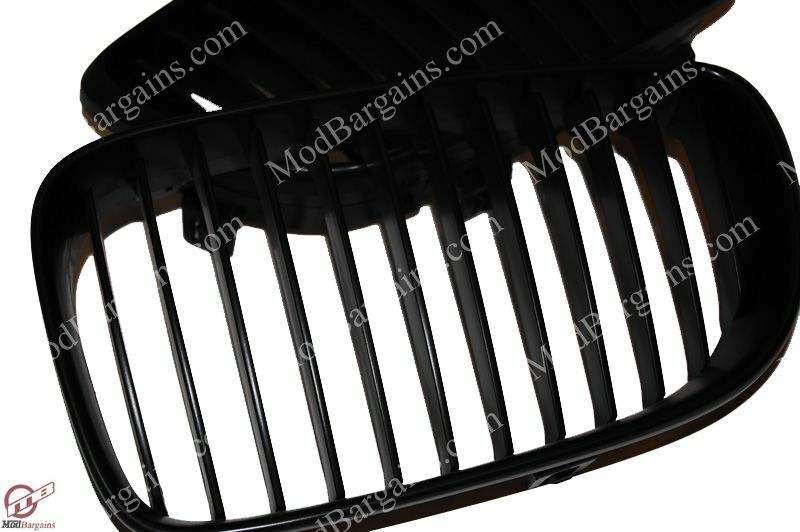 Why should you buy ModBargains' Matte Black / Carbon Fiber E82/87/88 Kindey Grilles? Before each product is released, they go through rigorous tests, including test fitting on several OEM bumpers and the actual vehicles to ensure that the product is free from manufacturer defects. Elemental tests are performed as well, putting the grilles through prolonged rain and sun exposure ensuring that it will not oxidize over time. 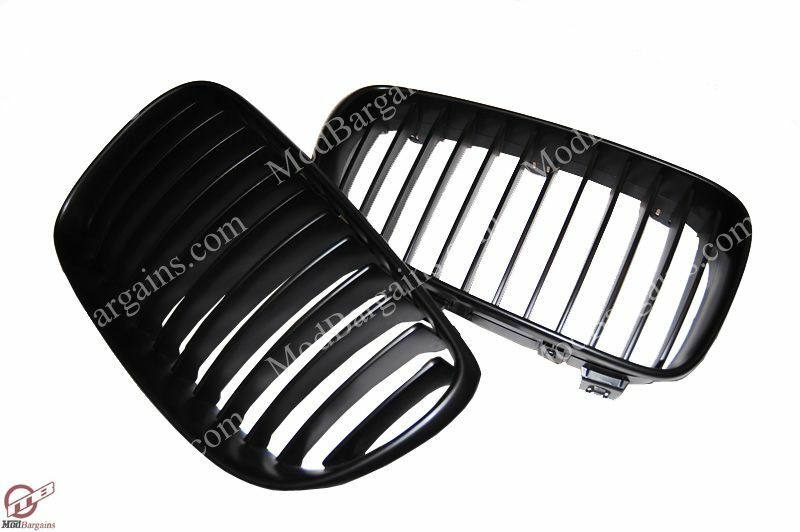 Sand blast testing is also done to ensure that the grilles stand up to everyday situations that daily drivers encounter. Make Model Chassis Year Part No. 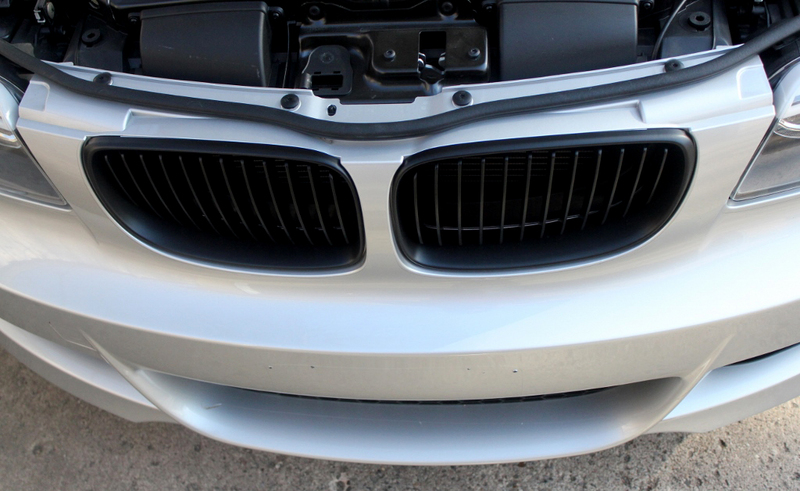 Didn't like the look of the OEM grills on my 135i so I decided to go with these matte black grills and I love them. 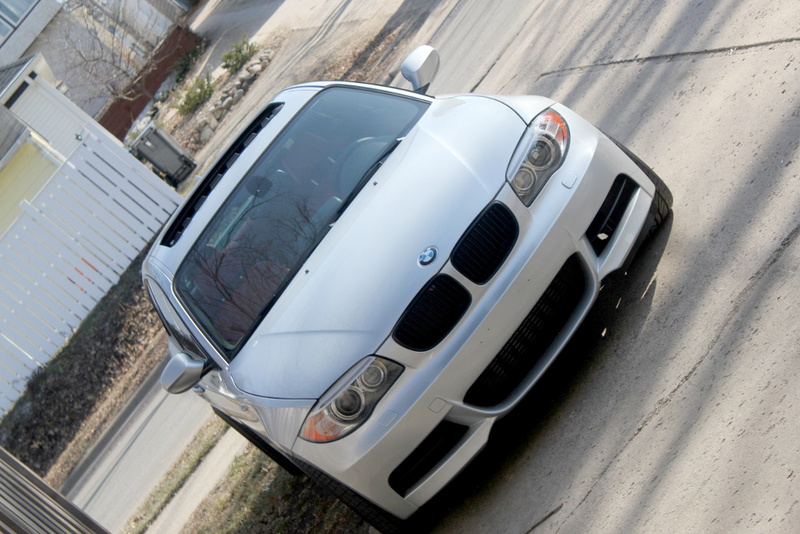 Gives the care a much better look in the front and matches the rest of my car being black. 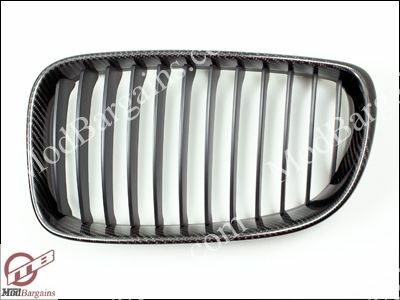 I am going for the white and black style for my 135i and these grills were perfect for it. I highly recommend if you're looking for some inexpensive mods for your car.